Understanding how your child may react to divorce news is one thing, but dealing with the reaction is often another challenge. It’s very important to be compassionate and look from your child’s point of view as much as possible. Psychologists recommend that you be loving and reassure children that they aren’t the reason for your divorce. Listen to your children. Be quiet and listen to your children. Allow and in fact encourage your children to express their feelings, whether they’re sad, angry or frustrated. If you notice moodiness, encourage them to talk. Allow them to be honest. Your children may not want to share their true feelings because they don’t want to hurt you. Assure them that whatever they say is okay. This can help them work through their reactions to the divorce. Acknowledge how they feel. When you acknowledge and let children know you understand, it may not make their feelings immediately disappear, but it does help them to eventually work through them. Be patient. Children can waiver back and forth — seem okay one day and upset or confused the next. Be understanding and patient with them. Clear up confusions. 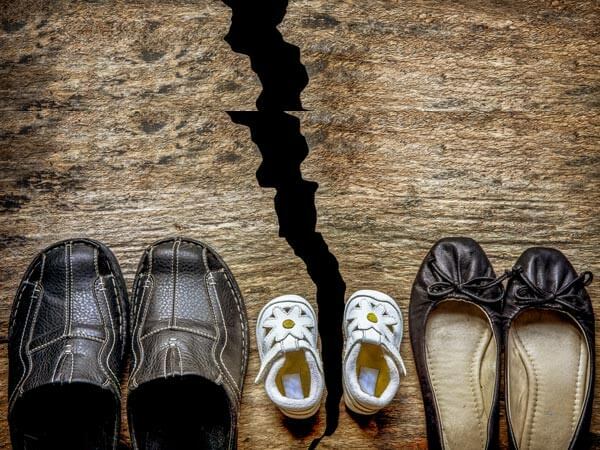 You may have to repeat the reason you got divorced because it takes awhile for them to understand or believe that they weren’t to blame for your divorce. Be reassuring. Keep a positive attitude that things will be okay and let your children know you love them. Be honest about whether you know the answer to a question or not. Maintain physical closeness. Hugs, holding them, or even just putting your hand on their shoulder is a type of communication that can help reinforce their understanding that you love them. At C.E. Borman & Associates, our attorneys help you with legal hurdles that are common with divorce. We’re glad to answer your questions, explain the process and inform you about your divorce options. Feel free to contact us and find out how we can help.